Renting a villa is an extremely cost effective way of taking a vacation either with your family or a group of friends. Villas are priced per property, not per person and are booked directly with the property owners. For a large family or group of friends, a private villa will work out significantly cheaper that a resort. Most private homes have Cable TV, free Wi-Fi, DVD players, iPod docks. There are many homes with gym, saunas, Playstations, pool tables...and it’s all for you to use whenever you want. If you travel with lots of luggage it can be comfortable to park your car right in front of a villa, no long corridors or elevators. You have separate bedrooms for the kids, and there is no need to make a queue for the bathrooms. Full-size kitchen allows you to cook up a meal whenever you like and your own laundry facility in the villa which means you don't have to make a trip to the laundromat. When you stay in a villa there are no middlemen. Most owners live nearby and will assist you with any help or guidance you may need. Have you ever considered taking a villa holiday? 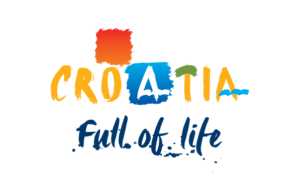 Charming Croatia has a wide selection of homes with their own private pool in areas by the beach or unspoiled countryside away from the traditional tourist trails.